Our commercial grade block-out premium pole tent single piece vinyl tops are designed to replace your rental party tent tops. Constructed from our finest 16oz vinyl, these single piece tent tops were designed to withstand the rigors of constant setup and tear down that can happen over the course of a busy rental season. With proper care and maintenance, these durable tent tops are going to have the kind of longevity that puts other available options on the market to shame. 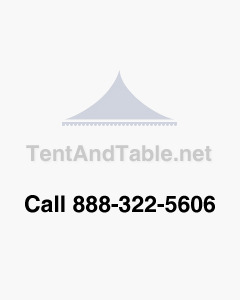 Please note: This listing is for only the single-piece tent top. Complete tent or tent poles are sold separately.